TSL has been handed a prestigious award in recognition of its practices and achievements in helping its staff and contractors get home safely at the end of the working day. 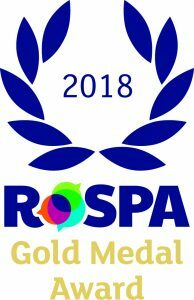 TSL has achieved a Gold Medal (5 consecutive Golds) in the internationally-renowned RoSPA Health and Safety Awards, the longest-running industry awards scheme in the UK. Jason Wigglesworth, HSQE Director, and the wider Health and Safety team have worked tirelessly to ensure our ongoing commitment to the wellbeing of not only employees but all those who interact with TSL and this latest award demonstrates the team’s success.